At ADA 2015, Medtronic announced FDA Clearance of MiniMed Connect, a keychain device that sends pump/CGM data via Bluetooth to a smartphone app and enables remote monitoring for the caregiver. Launch is slated for this fall for MiniMed 530G and Revel users; it will be $199 (cash pay), and interested users can sign up to be notified at www.medtronicdiabetes.com/minimed-connect. Initially, the MiniMed Connect paired smartphone app will only be available on Apple’s iOS, though Medtronic announced a separate partnership today with Samsung (see below) to build out an Android version and apps optimized for Samsung devices. 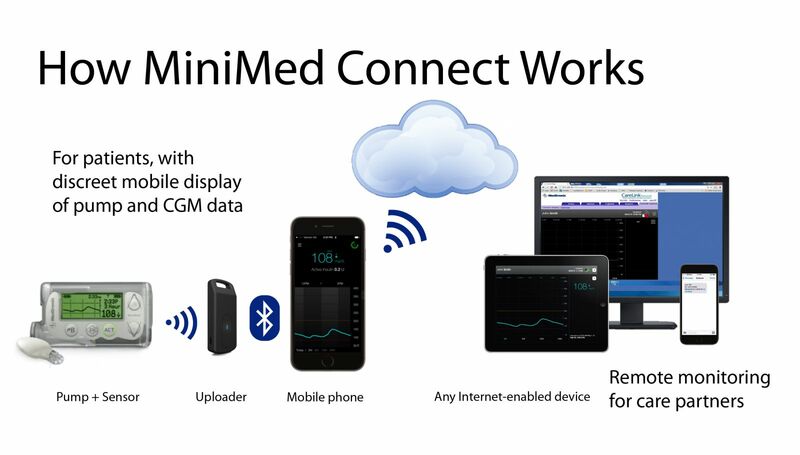 MiniMed Connect allows caregivers to remotely monitor patients on any product with an internet connection via a web display (similar to the Nightscout setup). Caregivers can also receive text messages for un-cleared pump alarms or when sensor glucose levels are too high or too low – this addition should be a welcome relief for parents and loved ones. The MiniMed Connect device itself looks very portable based on the pictures we’ve seen – the tiny device is about the size of a car key fob, rechargeable via USB, and will receive the data from the pump and send it to the nearby phone via Bluetooth. Data will also go to CareLink automatically (CGM data every five minutes, pump data daily), saving healthcare providers and patients downloading hassle. While Medtronic has recently lagged behind Dexcom on the connectivity front (the Dexcom’s Share Receiver was released late last year), this update is an exciting move by Medtronic. 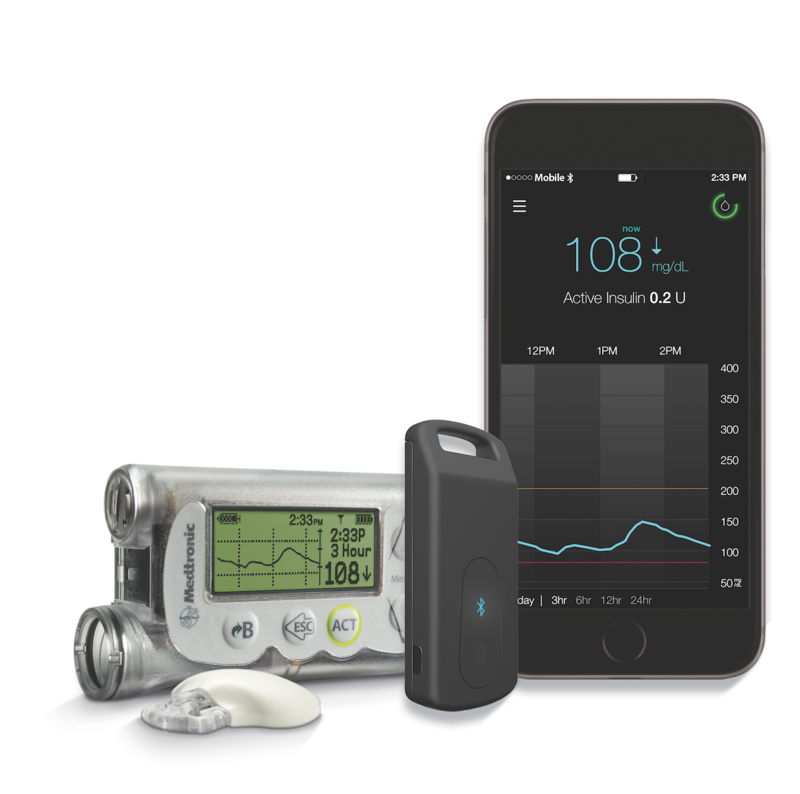 Next in line is Dexcom’s Gen 5 system (Bluetooth-enabled CGM transmitter, paired smartphone app, optional receiver), which could be approved by the end of this year. Medtronic’s similar Guardian Mobile system is still in a pivotal trial, expected to wrap up in July. We give major kudos to the FDA, to Dexcom, and to the Nightscout community for getting secondary display of CGM data down-classified – that enabled a very rapid review of MiniMed Connect.